michelotti – HubNut – celebrating the average! 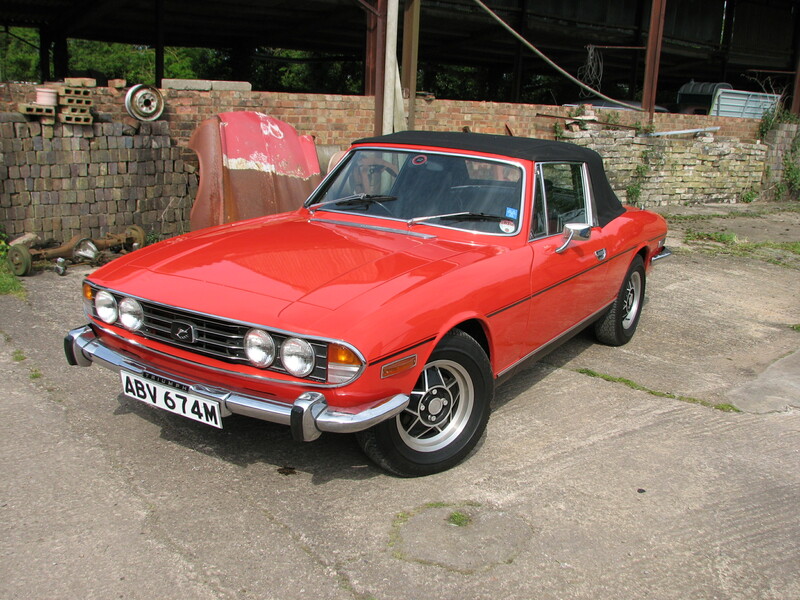 The Triumph Stag has the looks, and the noise! It could have been brilliant, but this V8 Grand Tourer was let down by a hurried engine development, which destroyed reliability. Now these issues have been tempered, the Stag makes a superb classic choice. Production ran from 1970-1977 and 25,877 were produced, all with Triumph’s own overhead-cam V8. That 3-litre V8 puts out 145bhp and has a simply delicious sound. The automatic suits the car well, but so does the manual, especially when equipped with overdrive. Power steering takes the strain out of driving and is far more direct than a Mercedes-Benz SL. Unlike many convertible sports cars, the Stag boasts rear seats, albeit not entirely adult sized. The option of a removable hard top boosts practicality while the chunky rollbar adds safety.